Special Assignment will see the launch of a lavish new book by former Fanderson chairman Chris Bentley. Captain Scarlet and the Mysterons: The Vault celebrates the 50th anniversary of the classic series and is fully authorised by ITV Studios Global Entertainment. We can reveal the cover here for the first time. 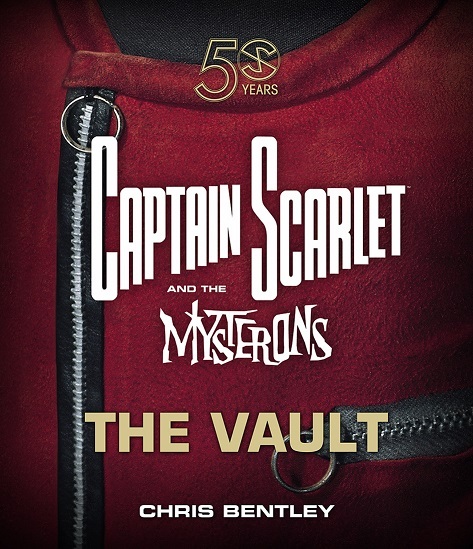 Captain Scarlet and the Mysterons: The Vault is published by Signum Books on 6 October, but Chris will be signing advance copies at the Special Assignment convention on 30 September and 1 October. TICKET PRICES WILL RISE VERY SOON – SO SIGN UP TODAY! Tickets to Special Assignment start at just £55 per person for one day, or £90 for the whole weekend. We’ve managed to keep the ticket price the same as The Future Is Fantastic! convention in 2015 because we’re a fan club and no one is taking a salary. Note that Saturday-only or Sunday-only tickets do not include the Saturday evening meal or any other refreshments that are included in the weekend ticket. This entry was posted in Events, Merchandise and tagged Captain Scarlet, Special Assignment by admin. Bookmark the permalink.